Alvan Cleveland Kincaid (also known as AC Kincaid) was born in Orleans, Indiana on September 25, 1892 into a family. He was the son of Albert Harrison Kincaid and Dora Eliza Mattox, and was the brother of Charles Franklin Kincaid, Grace Imogene Kincaid, Mary Ellen Kincaid, and Arthur Martin Kincaid. In 1915, Kincaid graduated from Franklin College in Indiana. In November 1917, Kincaid was first commissioned to the 336th Infantry of the Infantry Reserve, which was active in several stations throughout the US. A year later, on August 1918, he served in a defense sector during the Meuse-Argonne Offensive in France as an aerial observer of the 91st Aero Squadron. 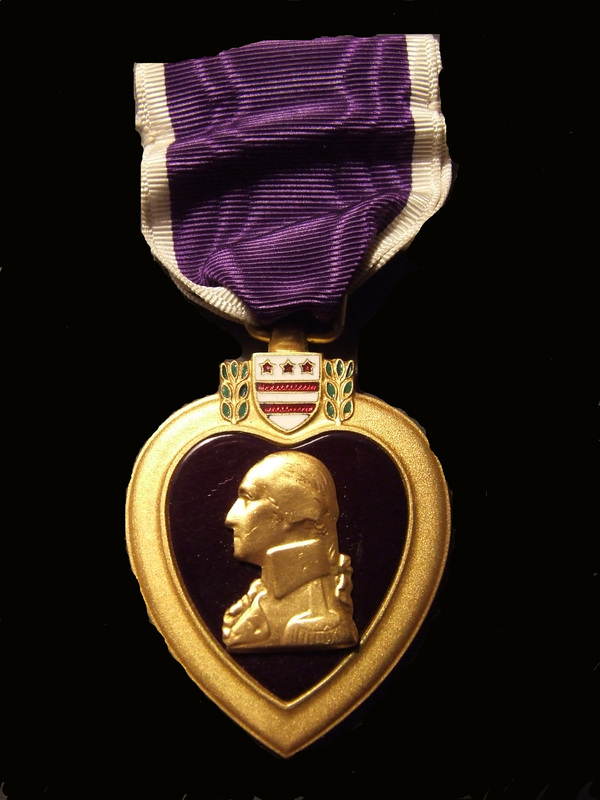 He was later commissioned to the 88th Squadron of the American Expeditionary Forces. The following July, Kincaid returned to the US, where he became an observer at Kelly Air Force Base in Texas. After, he served under the First Surveillance Group in El Paso until April 1920, when he was selected as the Air Service supply and transportation officer at Fort Benning. Three months later, he finally received his Regular commission as First Lieutenant of Air Service. While in the United States, Kincaid visited many other Air Force bases and became an instructor and director of a few of the training camps. After about 10 years of instructing other pilots at flying schools, Kincaid went to the Panama Canal Zone and was selected as the commanding officer of the 24th Pursuit Squadron at Albrook Air force Base. He was later transferred to the France Air Force Base and served as adjutant of the Sixth Composite Group. Later he was appointed to the position of commanding officer of the Seventh Observation Squadron at the station. In August 1934, Kincaid entered the Air Corps Tactical School at Maxwell Air Force Base in Alabama, where he graduated the following June. He then became the Chief of Air Corps in Washington DC and in 1936, he became the chief of training. He later entered the Command and General Staff School in Kansas in September 1938 and graduated the following June. He then was ordered to the Chanute Air Force Base in Illinois, where he was appointed as the executive office of the Air Corps Tactical School. In July 1941, he became assistant commandant of the School. After serving at Moffet Air Force Base in California, Kincaid was appointed as commanding officer of Roswell Air Force Base, which was set us first as a temporary defense unit and in May, the flying school received its first contingent of troops. In March 1944, Kincaid served in France during World War II under the Ninth Air Force and became the commanding general of the 84th Fighter Wing. He was later named chief of staff of the Ninth Tactical Air Command and a year later, he was selected as deputy commander of the administration of the Ninth Air Force. In July 1945, he was appointed as chief of staff of the US Strategic Air Forces in Europe. During World War II, AC Kincaid (also known as “Ack-Ack”) was acquainted with General Charles Lindbergh. He was also assigned to the same Quarters as General LeMay, who was the commander of the B-29 operation against Japan and the dropping of the atomic bomb. 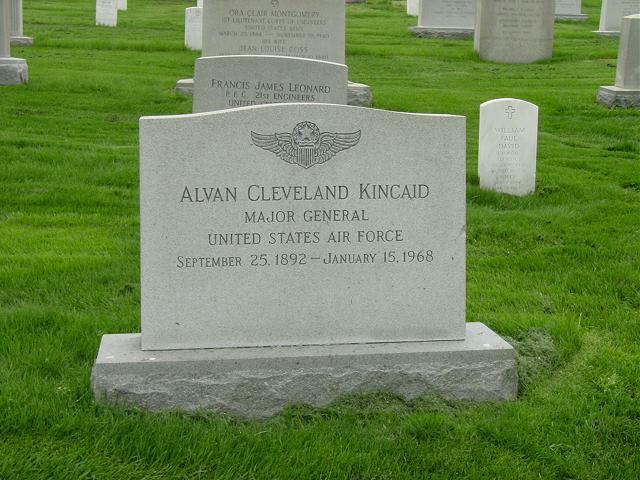 Alvan Cleveland Kincaid lived a life devoted to serving his country. During at least 34 years of service in flying schools and the Air Force, General AC Kincaid was awarded the Distinguished Service Medal, the Silver Star, the Legion of Merit, the Bronze Star Medal, the Purple Heart, and the Commendation Ribbon. 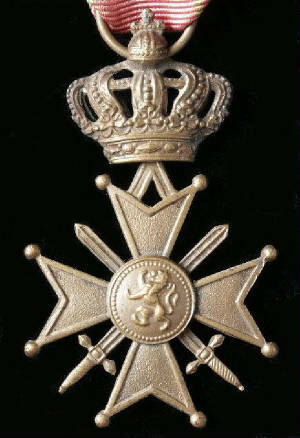 His foreign Decorations included the French Croix de Guerre with palm, the Belgian Order of Leopold II, the Belgian Croix de Guerre, the Luxembourg Order of Adolphe, the Luxembourg Groix de Guerre, and the Chinese Cloud and Banner. In the end, he died on February 1, 1968 at the age of 75.